Most beef that is purchased in your local market is wet aged. In this process, meat is vacuum sealed and refrigerated for up to a few weeks, before being sold. The flavor of beef naturally improves with aging so you would not normally eat “fresh” beef. Dry aging beef is a method that high quality steakhouses and butchers use, which produces a superior intense beefy flavor. The reason why it’s so costly is because of the process it takes to age it. Also the yield you end up with after dry aging meat is significantly less than what you start with. This means the restaurant has to transfer this up-charge to the customer in order to turn a profit. 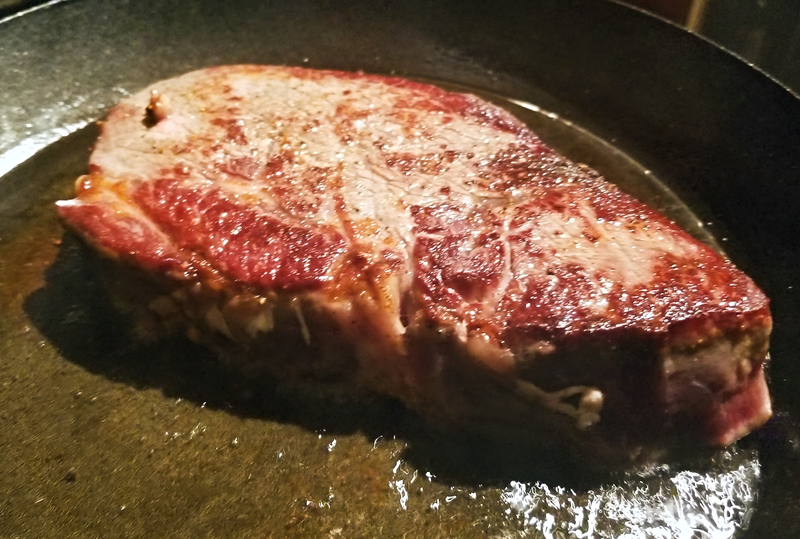 At my local butcher, a 20 oz dry aged rib eye steak can easily cost $30-40 per steak, so even going this route can be very pricey. 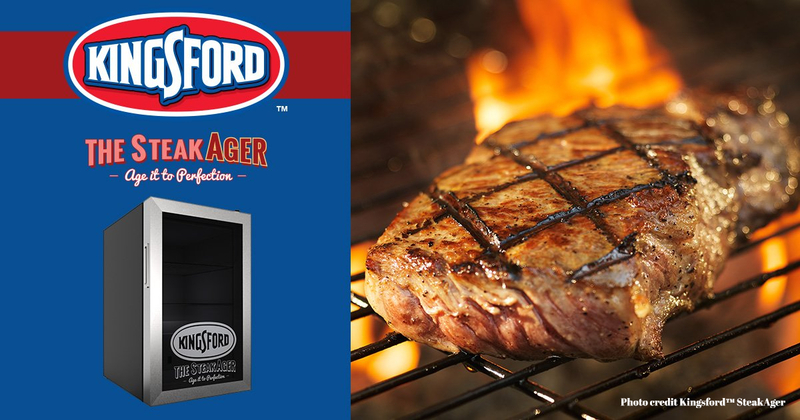 Then last year I discovered the Kingsford™ SteakAger. 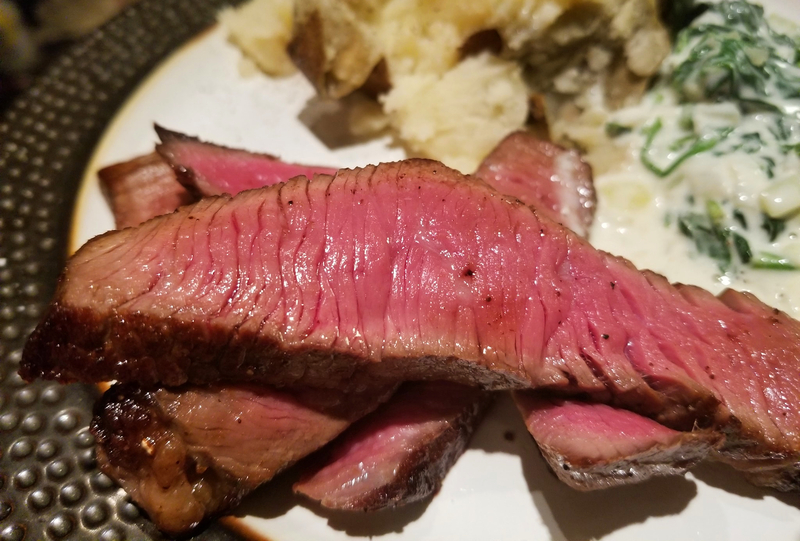 The idea of preparing my own dry aged steak without using a DIY type of device was intriguing. A friend of mine, Chef Eric Eisenbud , who was at the time, the executive chef and spokesman for the SteakAger brand, was a veteran at aging steak using this device. 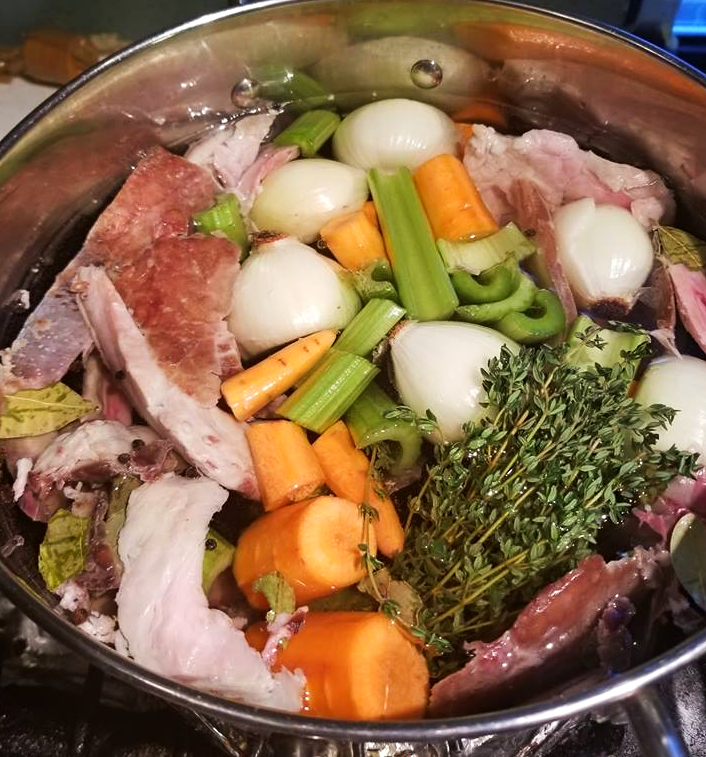 Now he runs The Grateful Chef and he and I have teamed up to cook on a couple of occasions, one of them being a Facebook “live”collaboration in promotion of my book Mastering the Art of Sous Vide Cooking, and the Kingsford™ SteakAger. We also teamed up to do a pop-up dinner at his home that you can view HERE. Chef Eric explained to me the ins and outs of dry aging your own steaks, also he informed me how much money you can save by doing so. There are 4 different sized machines to choose from: The original SteakAger, Master 15, Master 30, and Master 45. I purchased the Master 15 which holds up to 15lbs of meat, it is the smaller device but this will be strictly for my personal use. I pre-ordered the SteakAger in August 2018 as a birthday present to myself, the shipping date was October 15, 2018. Then apparently the company had a shipping issue and all orders were pushed back one month until November. Then the orders were pushed back until December. 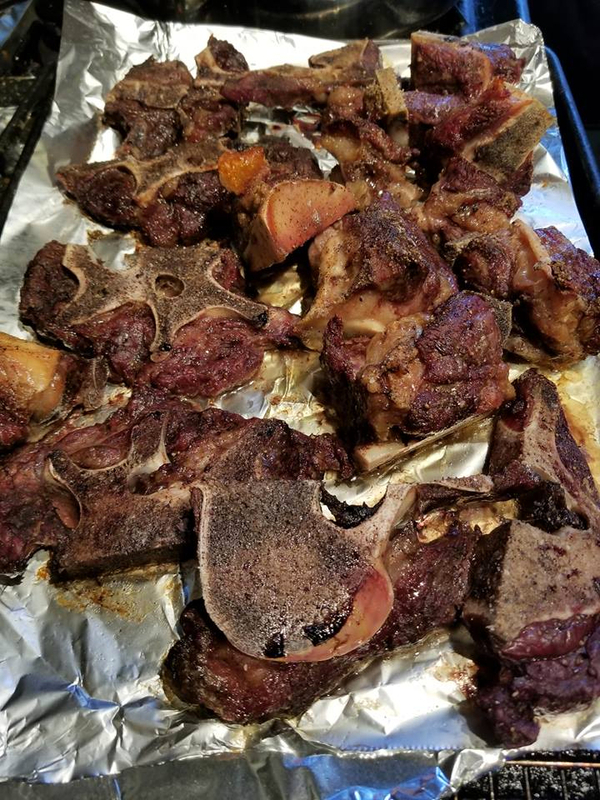 Then many folks received their devices with multiple manufacturer defects which caused some people to ruin expensive pieces of beef. In my case, to make matters worse, UPS delivered my machine to the wrong address 3 times in December before they got it right. When I finally received the SteakAger in January, it was totaled from so much postal handling. Not that this mattered, in fact, because the machine was defective it needed to be replaced with the proper updates regardless. I did not receive my unit until February, six months after my original order. During the difficult time I had receiving this machine, customer service was very responsive and helpful to all of my inquiries and concerns. The founder of the SteakAger reached out and informed me to get rid of the wrecked device, and he also assured me they would send me the updated machine ASAP. It arrived packed very nicely to avoid a shipping disaster like the first time. 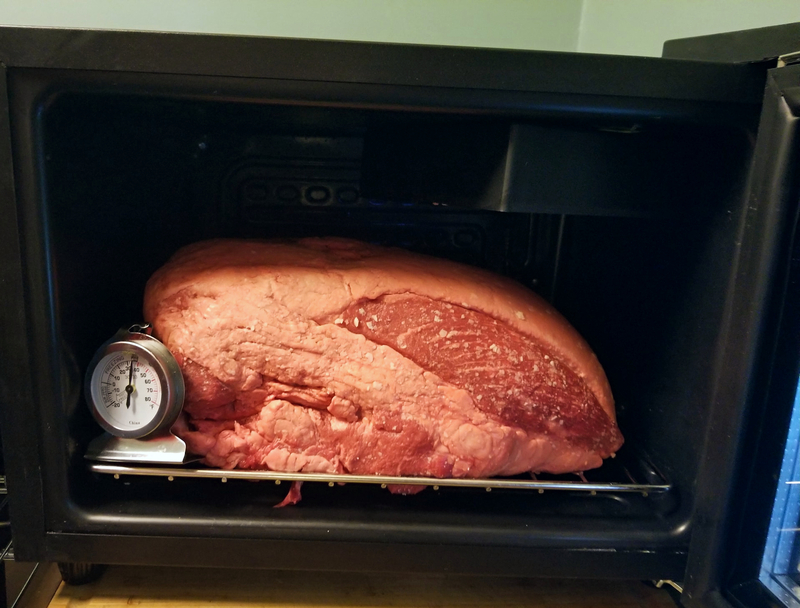 Once I received the new machine, I immediately wanted to get a slab of beef into it to start aging. 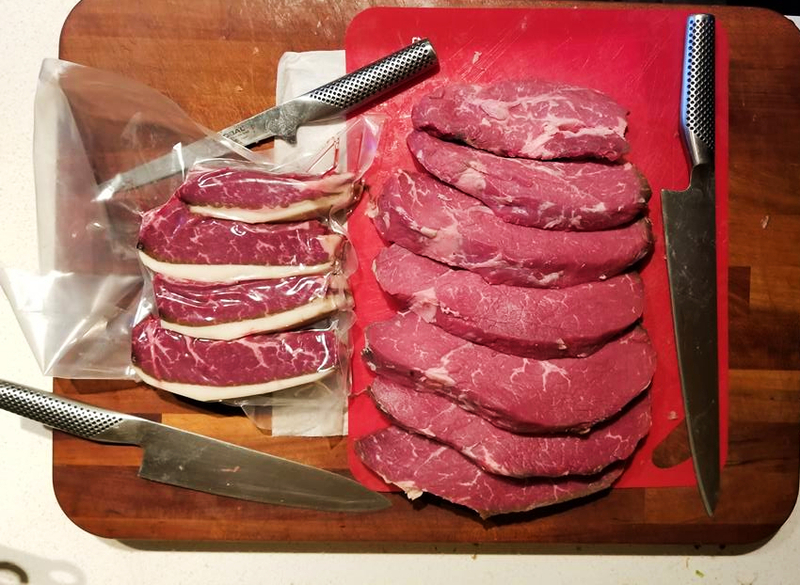 With some of the problems previously reported with the 1st generation machine, I was a little leery to drop big money on an expensive sub-primal cut of meat, but I found a very good sale on top sirloin (not my favorite cut) at my local market. 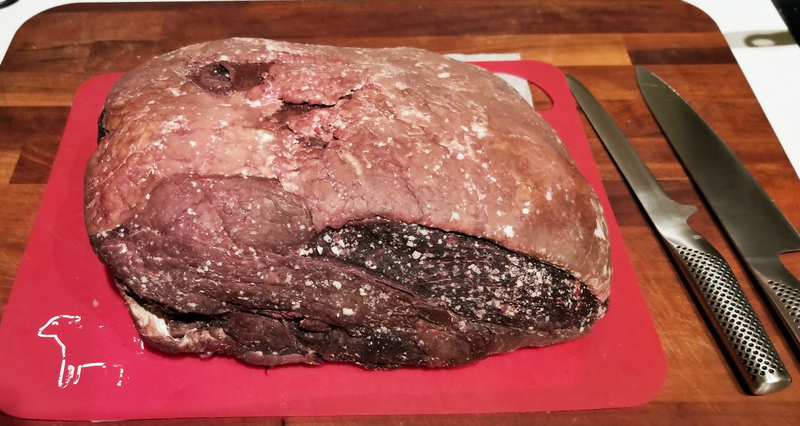 I purchased a 14 lb cut and I was off to the races… The meat was a perfect fit for the device and I was going to shoot for 45 days, but due to my desperation to finally taste the results, I only aged it for 28 days. 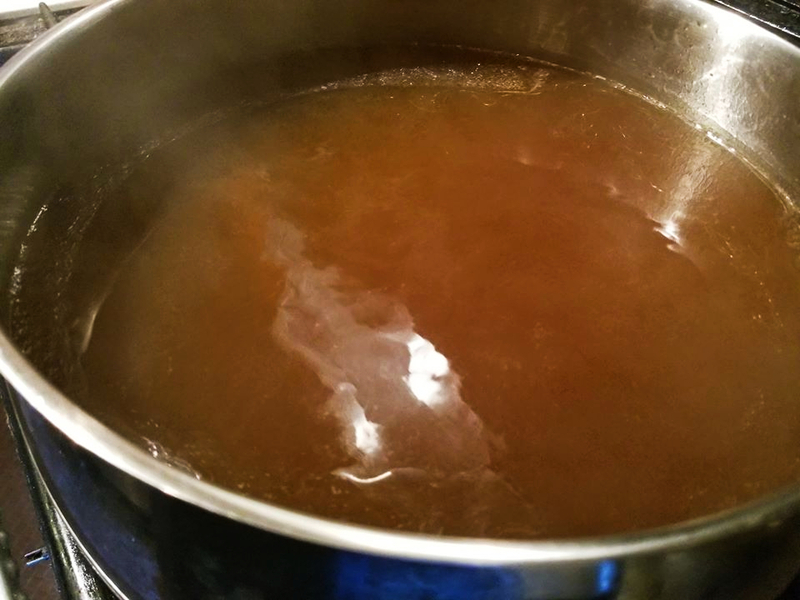 The product worked very well throughout the process. The only issue I had was with the app which can be used to monitor time and temp, but that issue has since been resolved. 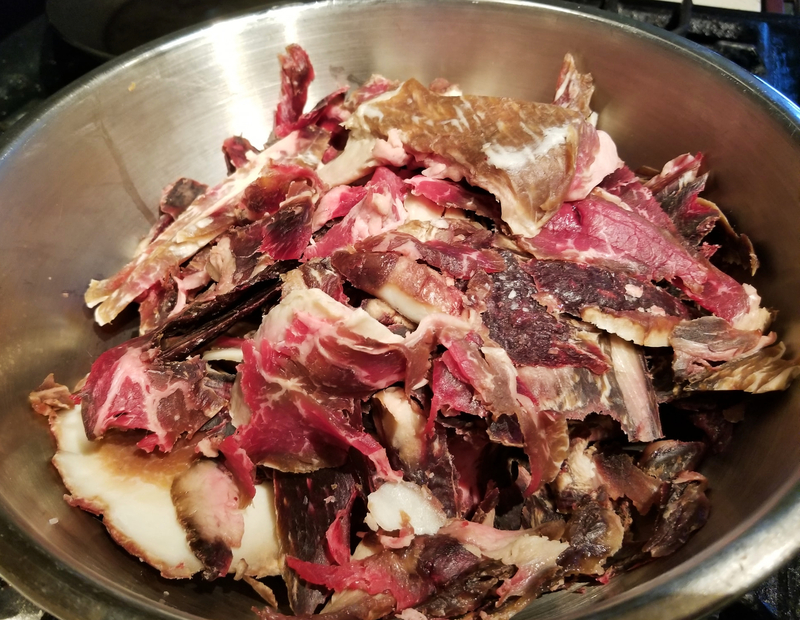 Posted on March 18, 2019, in Beef, Foodie Road Trips & Other Fun Things and tagged beef stock, Chef Justice Stewart, Dry aged beef, facebook live, Kingsford SteakAger, mastering the art of sous vide cooking, steakhouse. Bookmark the permalink. 1 Comment. Great, honest review Justice. My butcher dry ages his beef in a room with a window on to his shop. It is amazing. I see them trim the rind and throw it out. I must rescue some for stocks.